It can be pretty easy to focus on attacking players in FIFA 19, but you won't get very far if your goalkeeper and defensive line is not up to scratch. And you'll need to be constantly bringing in new talent if you want to get ahead. To help you out, we've put together a list of the very best young defenders and goalkeepers. These are players with high potential in Career Mode, ones who are absolutely worth keeping an eye on. 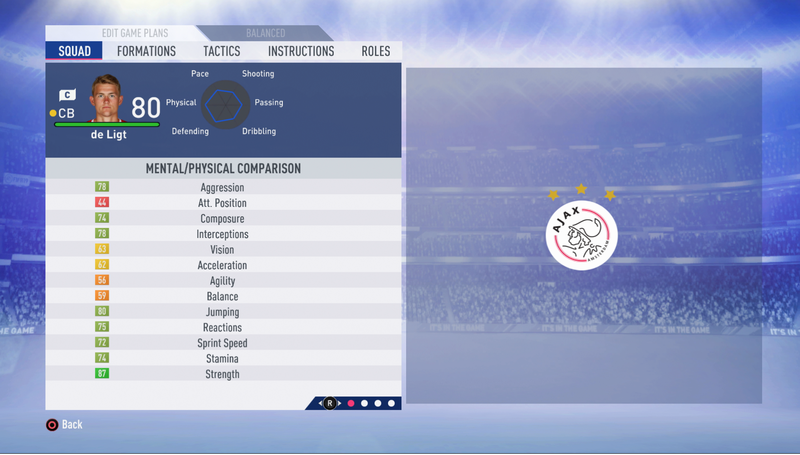 For more on FIFA 19, head over to our FIFA 19 Guide. It’s full of useful info on the game, like tips for scoring goals, a look at the 100 best players in the game, and more. Donnarumma is the one to watch here, with incredible reflexes and movement. He's also only 19, which is incredible when you consider just how high his potential is. He won't be cheap, though, so you might be better off putting your money in other baskets and allowing you to strengthen other areas of the team. We’ve listed the best young defenders in FIFA 19 below. 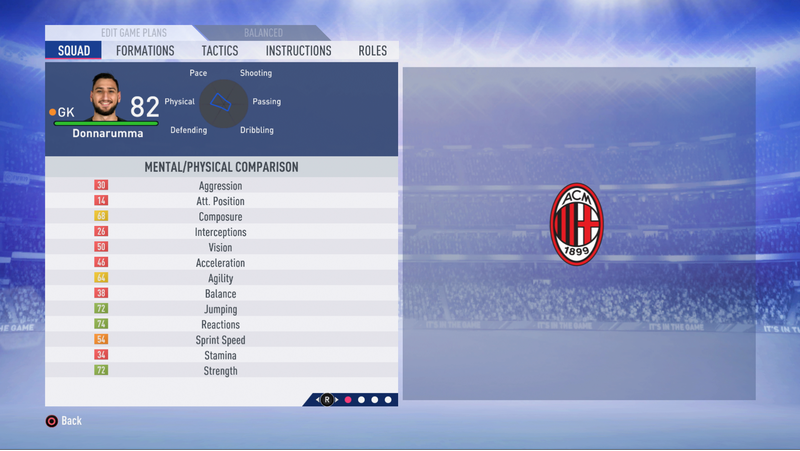 They’re split up by position, so that you can work out who the best young CB players, Best young LB Players, and young RB players are in FIFA 19. For defenders, physicality and marking are key skills to stop any attacking play in its tracks. Matthijs de Ligt is the clear winner here, though Vallejo and Benjamin Henrichs are great picks as well. Spending big on CBs isn't especially exciting, but it does make sense as they are key to your team's success. LBs and RBs in FIFA 19 are more important than ever. Thanks to improved AI, your wingbacks make some impressive overlapping runs this year, so you want to make sure you can take advantage of this. Pace is a key skill for a wingback, as is crossing ability. The Potential values listed above are approximations based on last year’s figures and in-game stats. Once more info on each player is released, we’ll update the potential ratings for each player. Tagged with Guides,	PC,	PlayStation 4,	tips,	Xbox One.